Did he like me at the Ardbeg Night at the first moment very well, he is in the set setting in direct comparison to the committee version a bitter disappointment. The nose is still the most similar, in the mouth separate the two worlds. Nevertheless, he likes me better than last year's Perpetuum, the direction seems to be correct in principle, only the dilution concept should be considered here! Starts almost smoke free with bare granite and sweet caramel. Becomes faster dry and mineral. Some life makes the whole thing again sweeter. Caramel, some damp rock, lemon zest, still little smoke. With a lot of imagination there may also be some dried fruit under the caramel. In direct comparison to the committee version he looks thin and boring. The range of flavors is extremely manageable. The whole thing is then heated a little stronger, sweeter and rounded. The mineral notes go back significantly, as well as the citrus notes, for the first time the smoke is a bit more noticeable, it is reminiscent of a tea kettle. The sweetness is getting darker and a little more fruity. A little weak-tempered in the start, the consistency rather thin, he can taste fully convincing. Something dark Sherry fruits, from the beginning already mixed with tannins, a hint of menthol and a good dose of fir honey, all nicely integrated. The finish is not too long, but not necessarily short. At first the menthol becomes clearer again for a brief moment, before it fades away a bit dry and ashen. Maybe not the darkest Arbeg ever, but this is great, better than I remember when I open the bottle. 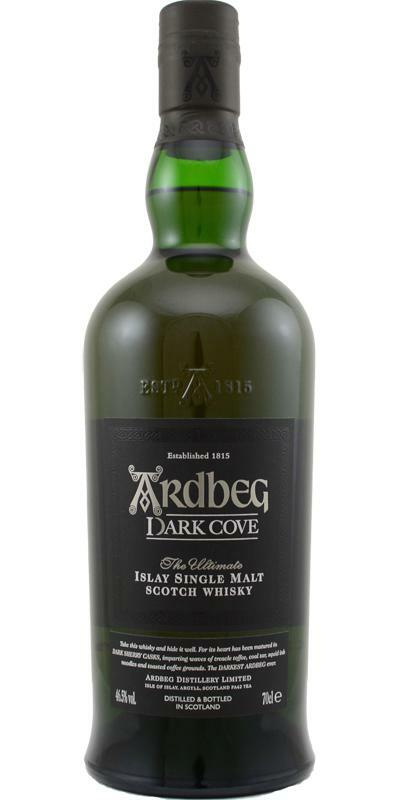 It's quite different from the typical Ardbeg profile, this ain't a peat and smoke bomb, this is elegant and refined, very well balance. And love the earthy note! Get a bottle if you can! Earthy.Wood. Dark chocolate, lemon marmalade,salt and sweet, berries and plumbs. Less peat and smoke than typical Ardbeg. Elegant and creamy. That earthy note reminds me Springbank. Sweet orange cream. Oily. Mouthwatering. Delicious! [March, 2017] Why not compare this release against its predecessor Perpetuum (WB id 68370) and successor Kelpie (WB id 86163)? 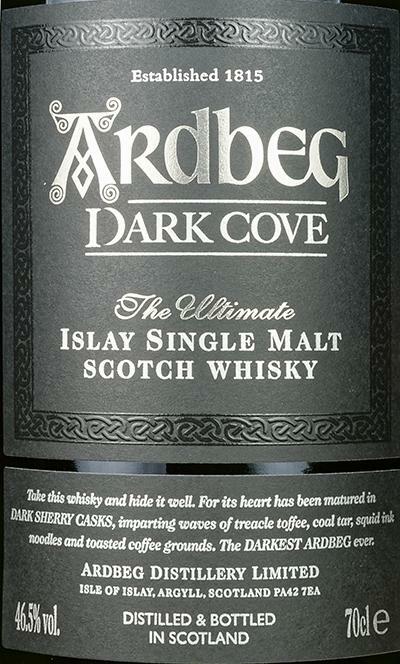 For me the worst Ardbeg I've ever tried, very artificial. Particularly the 'aspartame sweetness' in the finish. Like if they lost inspiration and contrived several barrels together until it was somekind of 'doable'. In my opinion it's very overrated and may not even stand next to the Corryvreckan or the Uigeadail. The nose is good, sweet smoke, a dusty attic on a hot summer day, smoked dried fruit and some wine notes. When standing in a glass it reminds even more lafroig than ardbeg. Very balanced and pleasant. Smoked cream cheese initially hits the nose (which, btw, sounds like a delicious combination). Dark fruit, bruised cherries. Caramel. Cinnamon. Salty. Seaweed. Light pepper. Some burnt rubber. Dark chocolate oil. Warm tones of dried fruits, caramel, cinnamon spice, liquorice, zest, and dry bubbly finish. The zest and ginger compliments the peppery spice. Light on smoke. Cinnamon and caramel prominent in the middle. Sharper and younger for the lower proof. Oiliness comes through more so toward the end. Absolutly pleasant with a long and warm chocolate & camarel flavours. 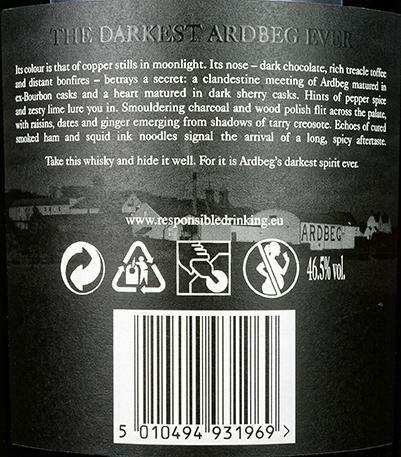 N: se Ardbeg quest’anno voleva stupire, certo non si può dire che abbia fallito – almeno per quel che ci riguarda. Sulle prime si rimane infatti sconvolti da un lato erbaceo inedito, per la distilleria: e per erbaceo intendiamo erbe aromatiche e balsamiche, tra rosmarino e salvia, aghi di pino (resina da conifere; qualcuno alla presentazione ha parlato di ‘mirto’, e in effetti…). Proprio per questo lato, ci si può facilmente suggestionare richiamando alla mente – quasi – un gin erbaceo (come può essere il gin Mare, per intenderci). 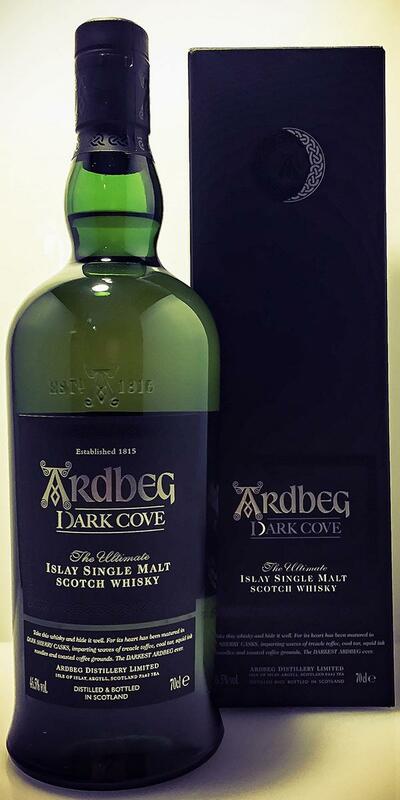 Dietro a questa prima coltre, ecco qualcosa di più atteso: spuma di mare, innanzitutto, e poi la torba di Ardbeg, acre ma (avvertiamo) qui tutto sommato ‘delicata’: leggasi, non brutale come al solito. Solo nelle retrovie emerge una vaga ‘dolcezza’, con qualcosa di borotalco, vaniglia e poco più. F: …che al finale dura a lungo, ricordando certi barbecue, con legna ardente in fiamme, carbonizzata. Un velo di sale accompagna una dolcezza liquiriziosa. Bacon?